An intimate, romantic Bali wedding in paradise is something to remember forever – and Villa Bugis is quite simply the perfect and unforgettable choice for getting married in Bali tropical style. Exchanging vows in a picturesque destination like Bali will create memories that last a lifetime – and a Villa Bugis villa is a choice any discerning couple will not regret. 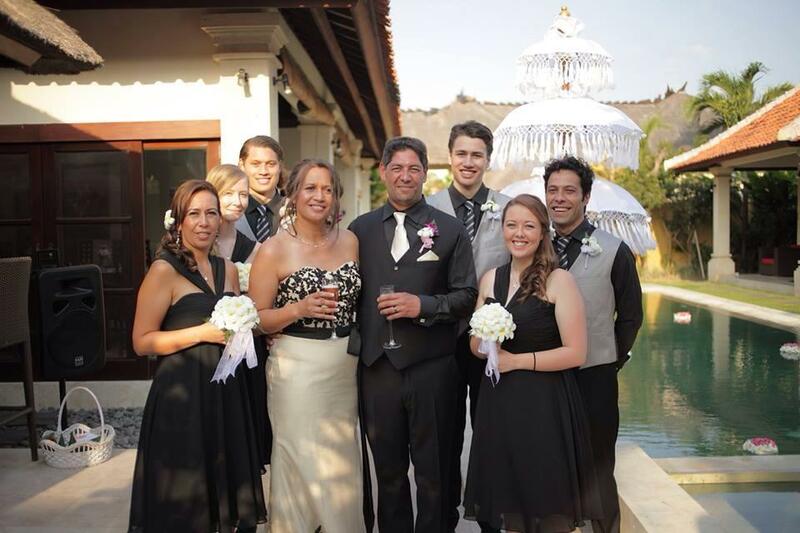 So why choose a Villa Bugis Bali wedding? Anyone who goes to Bali falls in love instantly with this special part of the world. The island’s reputation for gentle friendliness and beauty wins many hearts. 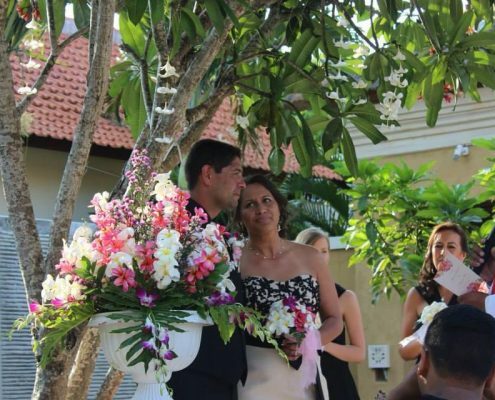 Hence, it is no surprise that every Villa Bugis villa compound is the perfect place for a couple to make that lifetime commitment in paradise. Each villa is individually designed in unmistakable Balinese style. 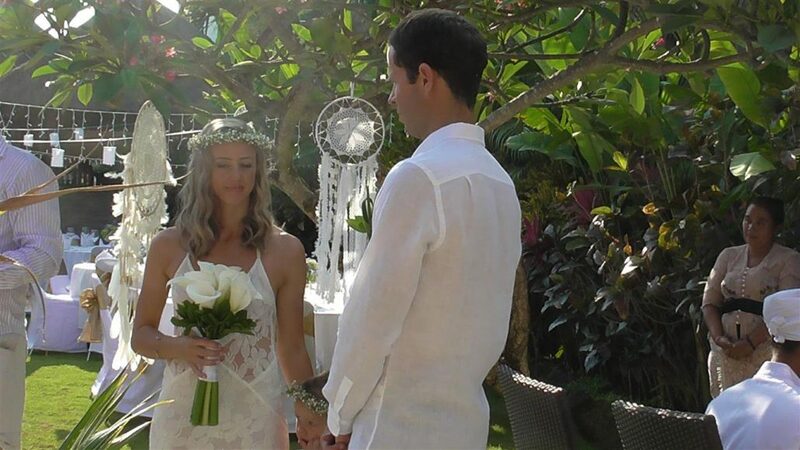 Perfect for your Bali wedding. Kuta may be famous for being where Bali revelers let their hair down, however Seminyak is the choice for a sophisticated, peaceful, family-friendly wedding. Villa Bugis villas are located around this central location for the perfect combination of convenience and serenity. For any couple who imagine their perfect wedding as intimate, surrounded by those they love and cherish, Villa Bugis is clearly the perfect choice. 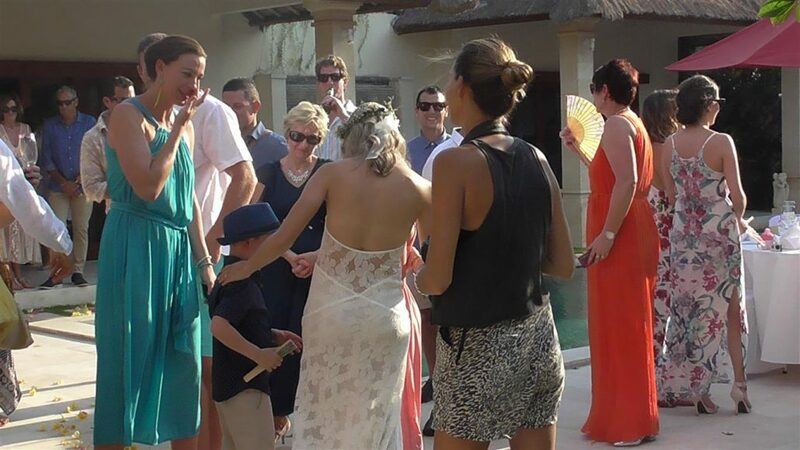 Every tranquil villa is totally private, with a swimming pool for exclusive use of the wedding party. 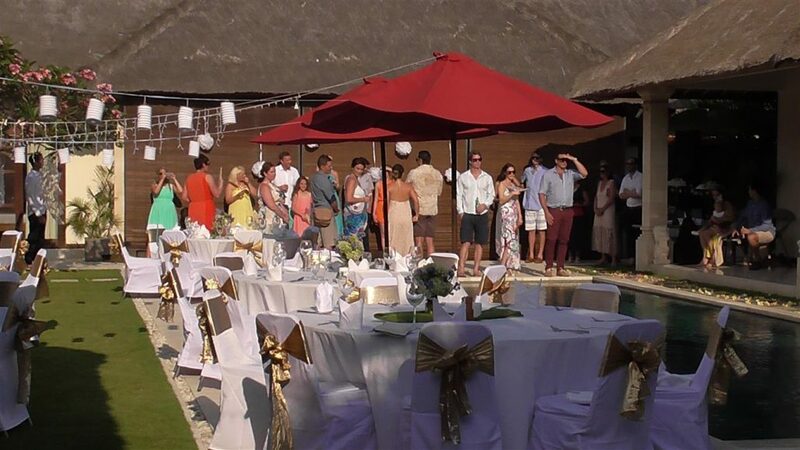 In addition to a private gazebo, bar, sun-bathing terrace, lush tropical gardens and so much more. 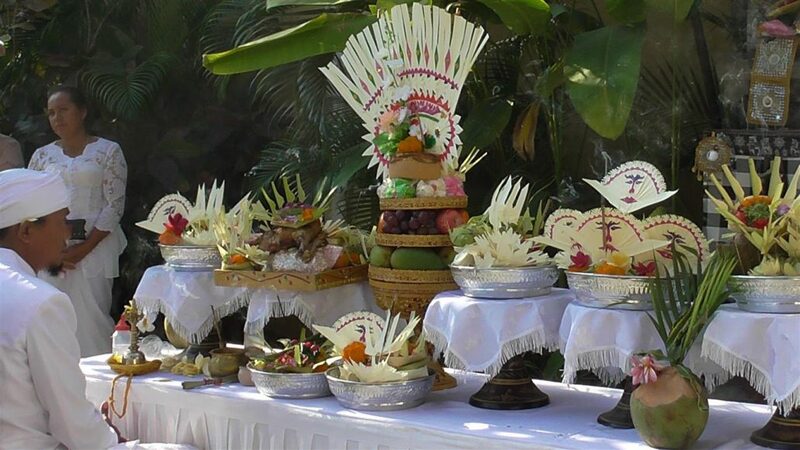 For an intimate Bali wedding, a Villa Bugis villa is better than a hotel or resort. 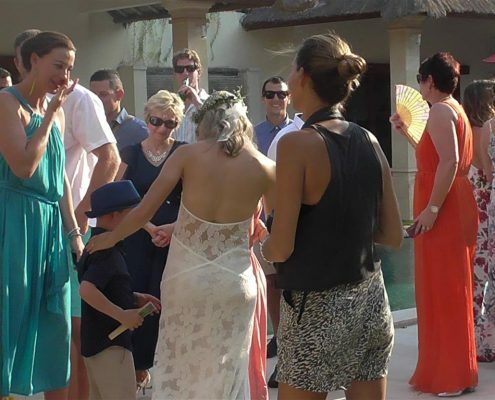 A small wedding group or attending family can all stay together in the same or different villas in the same private villa compound, with options ranging from 2 to 6 bedrooms. 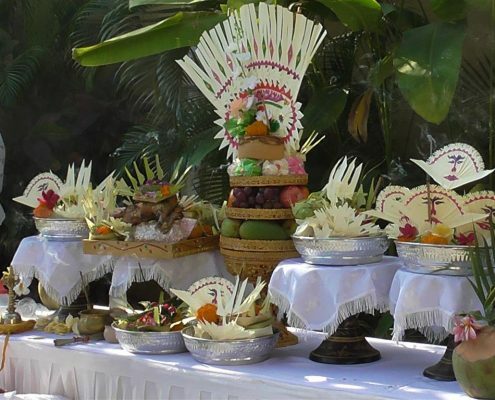 With an attractive price tag compared to an upmarket hotel, but with the exclusivity that comes with a private villa stay, this is undoubtedly the best choice for a memorable Bali wedding. That’s exactly what is offered by Villa Bugis, where the service goes above and beyond for the perfect wedding getaway. 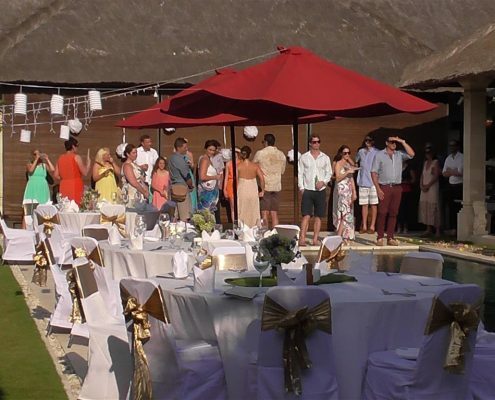 If you wish, we can also cater for your event with our famous Indonesian food – ‘The Real Taste of Bali’ to really make your Bali wedding something special! 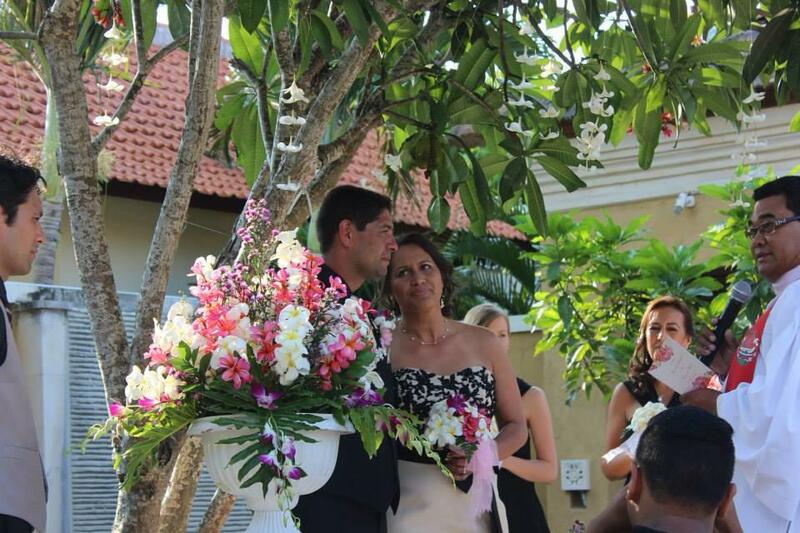 Consider a Villa Bugis Bali wedding today! 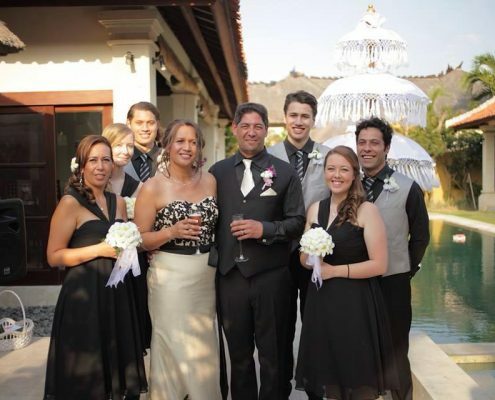 With an exquisite location and excellent service, the experienced team at Villa Bugis has hosted a large and growing number of unforgettable and successful Bali weddings, so enquire today to find out more.